MLS# 1277204 - 18215 Marriott Lane, Bellingham, WA 98229 - Mark Frye — RE/MAX Whatcom County Inc. 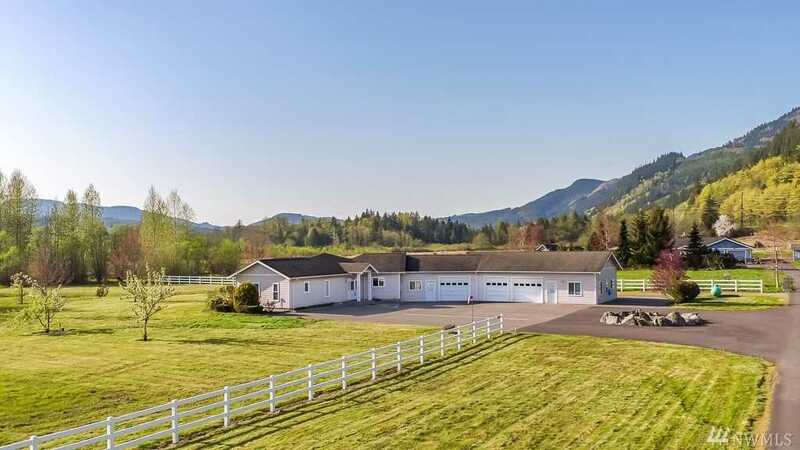 Custom rambler on 5 pastoral acres. This 4 bd, 2.5 bath, single story home features a flowing, open floorplan, large master suite with exterior doors, picture windows and sweeping natural light. Radiant heat, security system, A/C, tile floors, handicap accessible shower, Silestone counters in kitchen. 1 bd, 1 bath MIL unit off the large 3+ car attached garage. Bonus room is set up for hair salon with private entrance. White vinyl fencing surrounds the property, paved driveway and RV parking. Directions: From I-5 head East on Alger exit. North on Old Highway 99. Left on Marriott Lane. Follow paved road to the right. Home is on the left. Please, send me more information on this property: MLS# 1277204 – $545,000 – 18215 Marriott Lane, Bellingham, WA 98229. I would like to schedule a private showing for this property: MLS# 1277204 – $545,000 – 18215 Marriott Lane, Bellingham, WA 98229.